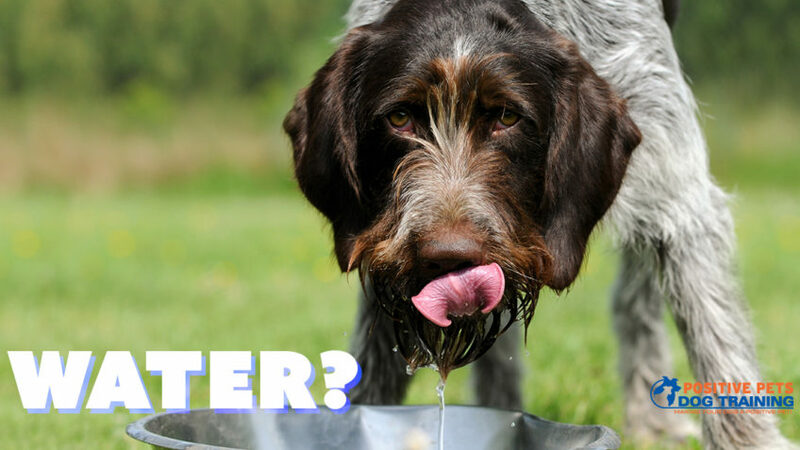 Home > Blog > Care > How Much Water Does My Dog Need? Water is essential to your dog’s overall mental and physical health, but how important is it, and how much do they need? To help keep your dog healthy and hydrated read below! Knowing how much water your dog needs all depends on their activity level, size, age, and the weather. On average though, each day your pup needs to drink between 9 and 18 ounces of water for every 10 pounds they weigh. The more active your furry friend is, the more water they’re going to need. During warmer months you’ll also need to boost your dog’s water intake to ensure they don’t get dehydrated. A dog who is suffering from dehydration may seem lethargic, have sticky gums, dry eyes, and their skin won’t be as stretchy when you try to pull it. The right amount of water helps regulate all the metabolic processes that occur in your pup’s body. They can digest food easier, have the mental stamina to complete an agility course, breathe more comfortably, and pulse blood through their veins. Your four-legged friend’s blood is mostly water so keeping it at healthy levels is vital. Your dog also gets nutrients to the body as well as works their brain and muscles because of water. When water flows through your pup’s body, it transports oxygen to cells while clearing out harmful toxins that may be in their system. Without the right amount of water, those two processes can’t happen which allows toxins to build up – damaging essential organs. Your furry friend is not only smart but built to keep cool in more ways than one. Besides drinking up a bunch of water or taking a dip in a refreshing pool, your dog keeps cool through panting. When your pooch is panting, they are releasing water as they exhale. But keep in mind when your dog is panting they may be keeping themselves cool, but they are losing water in the process, meaning they’re going to need to fill up on more liquids. Water helps keep your pup’s nose moist, allowing them to pick up scents that help them perform their daily duties. For example, a search and rescue dog that isn’t hydrated won’t be able to work to their full abilities because they aren’t able to pick up scents accurately and adequately. As the days start to get warmer just keep in mind your furry friend needs to stay hydrated to be functioning to their full potential.